Reducing clutter before you move is always a good idea. No matter how long you’ve lived in your house, you are bound to have accumulated a fair amount of unnecessary items. Clutter is defined as a collection of things lying around in an untidy mess. You may look around your house and see lots of piles of clutter laying everywhere. Or you may be a bit neater and have your clutter tucked away in junk drawers and filing cabinets. Either way, you are bound to have a lot of clutter you need to go through. Moving takes a lot of hard work. If you’re pressed for time, you may not have a lot of time to spend reducing clutter before you move. If you can spare the time though it is always a good idea. Reducing clutter before you move will mean you have less to pack and unpack. It will also allow you to have a better handle on your home and how tidy it is before you move in. No one wants to move things that serve no purpose but to take up space. There are many guides to reducing clutter before you move. Most agree, you need to separate your things into three piles: a pile or stack of things to keep, a pile to give away to charity or other places and a pile to throw away. Once you have things organized into those 3 areas your job is almost done. You can go back through each stack or pile and organize some more. Things you want to keep but don’t really have a good place for often end up in the top of a cupboard or a drawer somewhere. You can keep things like records and keepsakes in good boxes or plastic bins to keep them safe. It’s always good to be organized and have things put away in a specific place. This helps you find it when you need it. You may find that some items can go into storage. These are items you want but can’t place in your new home just yet. Anything you have kept for years and never used could be considered clutter. It can be a hard call. Some people who are good at DIY projects save thousands of dollars each year because they keep a garage full of clutter and parts. Donating items to charity really helps everyone. When you choose to donate to charity, you can donate to a cause you believe in by helping directly or giving items to a thrift store. Don’t just go the easy route and drop things off at a well-known thrift store. Many times the larger chains have high overhead and less of your donation actually goes to the people you want to help. Instead pick a smaller thrift store that helps a group you want to help like an abused women shelter or a thrift store to help the homeless. If you have items that have been in the family a while, find a family member who would appreciate them. Not everyone like to keep a lot of things, others do. Like they say one man’s trash is another man’s treasure. Anything that is just too old to be used should be thrown away. You may find many of the items you’re planning to throw away could be donated. Other items can be repurposed. When you donate to charity you are allowed to take a tax write off of the replacement value of the item. That can really add up. Anything that has personal information or is just old papers can be shredded. 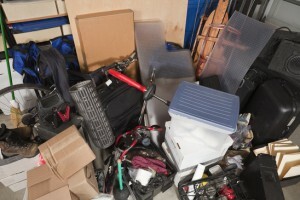 Your moving company in Lexington cannot do much to help you get rid of clutter. Whether you are packing yourself or hiring movers to pack for you, reducing clutter before you move is a great idea. For all your other moving needs, call Vincent Fister Moving and Storage and we will be happy to help you.